It seems improbable: A gastronomic roadtrip 30 miles out into the Atlantic Ocean? 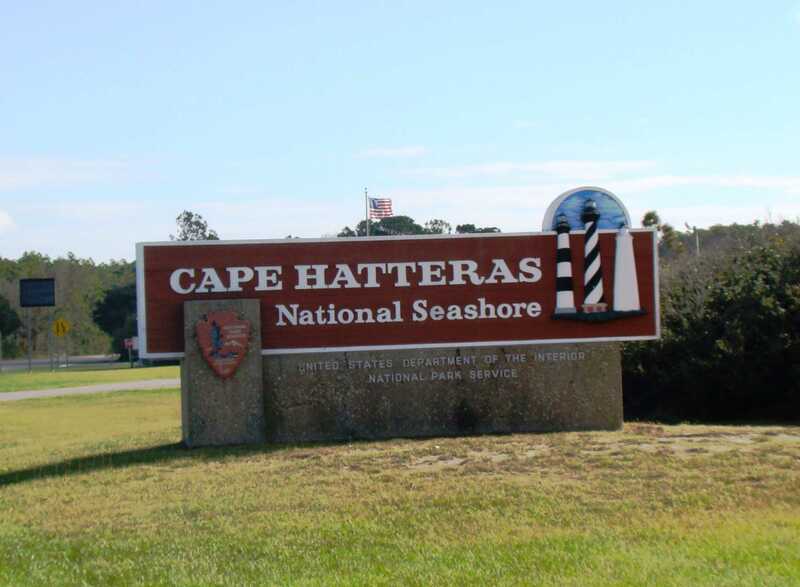 North Carolina’s Outer Banks National Scenic Byway—Route 12–serves as the “Main Street” for Hatteras and Ocracoke Islands, the Down East, and into Beaufort, NC, connecting more than 20 seaside communities that share a deep-rooted maritime heritage and distinctive culinary tradition. The Outer Banks themselves seem improbable: A narrow arch of tide-driven sand islands, holding still just long enough for civilization to lace them together with paved roads, bridges, and ferries. 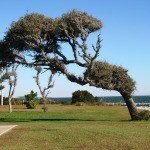 Everything about the Outer Banks is dynamic, even the land itself constantly shifts under the lash of storms and surf. With Pamlico Sound on one side and the rolling, grey Atlantic often within sight on the other side, Outer Banks cuisine obviously focuses on the harvest from those waters. 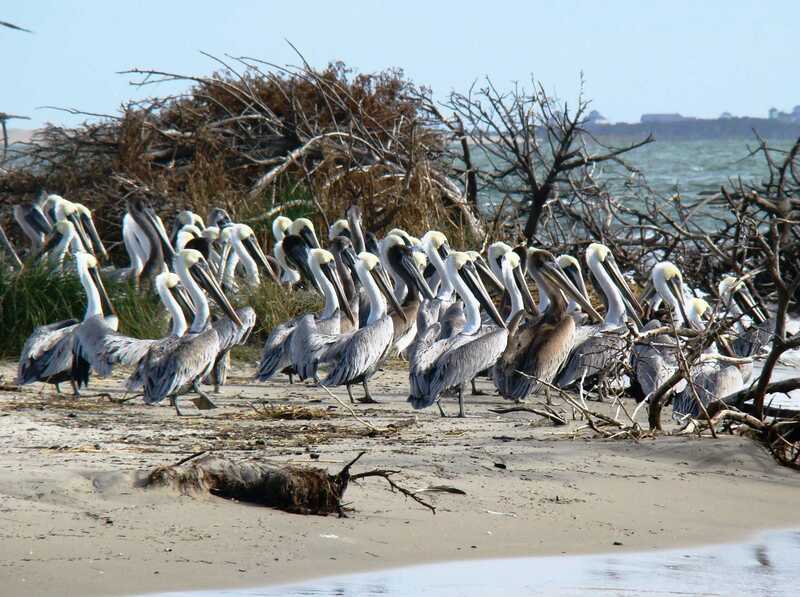 Traditionally, watermen from dozens of villages and tidal creeks followed the fish, shellfish, and waterfowl, feeding their families and selling or trading the surplus. 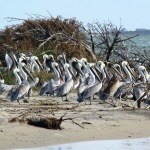 Dining on foods taken firm tidal wetlands, expansive estuaries, and the open ocean, guaranteed a diverse menu. However, relative isolation also narrowed the Outer Banks’ culinary spectrum. 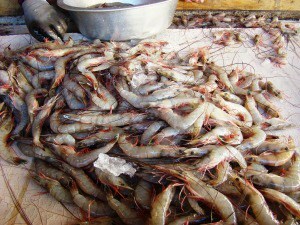 Though seafood was abundant, other foods–fresh meats, dairy, and some produce–were not as readily available. 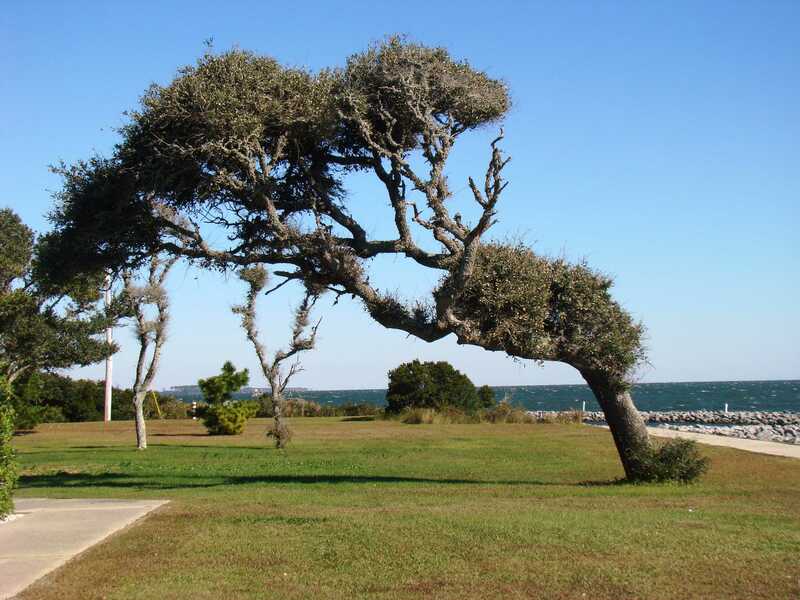 The advent of paved roads, the power grid, and reliable refrigeration brought the Outer Banks into the contemporary world. However, as with other “outport” communities, culinary adventurers can find traditional cuisine still available in the villages along the Byway. In the north, the actual Byway begins with the Cape Hatteras National Seashore at Whalebone Junction, south of Nags Head. 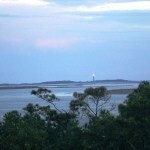 For hardy visitors willing to climb to the top, the horizontally-striped Bodie Island Lighthouse, rising above the marshes, offers a panoramic view of the National Seashore and Pea Island National Wildlife Refuge. 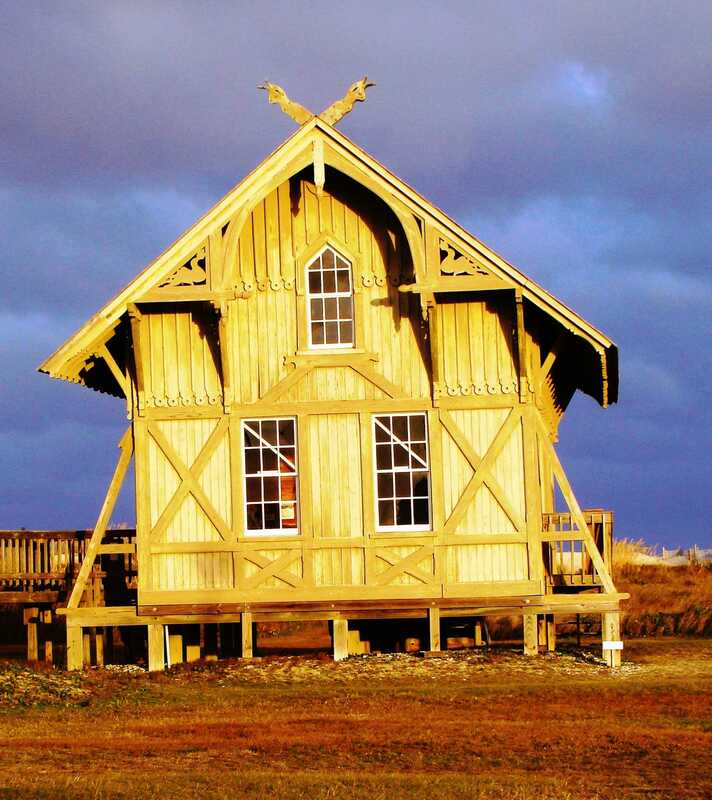 In Rodanthe, the first village south of the National Seashore, the Chicamacomico Lifesaving Station preserves a distinguished part of the islands’ heritage and celebrates the US Life Saving Service. From 1871 until 1915, members of this predecessor to the Coast Guard patrolled the oceanfront to aid shipwrecked victims. 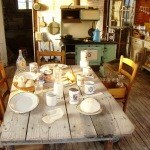 Along with life saving equipment, the Chicamacomico station opens a window onto Victorian Era dining in the Outer Banks. 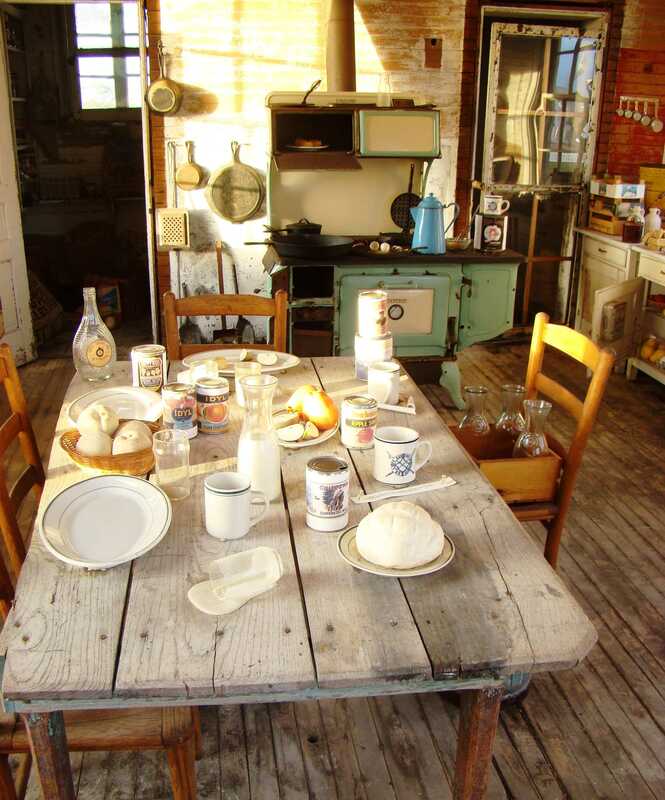 The station’s period-correct kitchen presents the foods and gear that fed the patrolmen: nothing fancy and quantities of starches, meat, and calories. 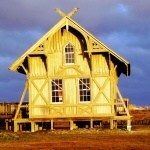 The Chicamacomico Life Saving Station displays the characteristic architecture , heavily influenced by Alpine chalets. As a contrast to that Spartan fare, Waterman’s Retreat, across the road in nearby Waves, offers a trendy, upscale bistro with a full bar and menu, focused on locally-caught seafood. That blend of classic and contemporary has become a hallmark of the Outer Banks’ gastronomy: Traditional ingredients with au current presentations. Legendary among locals and visitors alike, the Orange Blossom Bakery & Cafe in Buxton exploits that merging of “born here” and “came here” cuisine. The bakery’s apple uglies, doughy pastries that usually sell out well before lunchtime, are a regular treat, and breakfast at the Orange Blossom has become an integral part of the full Hatteras experience. 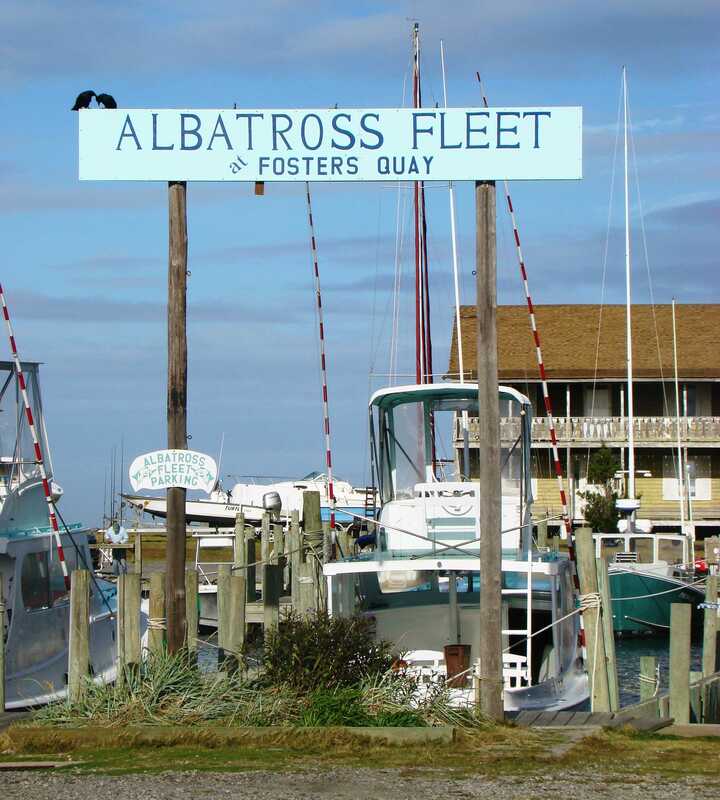 Hatteras Village, at the island’s southern end, is home to a flotilla of head boats and charter boats, led by the Albatross Fleet and Ernie Foster. 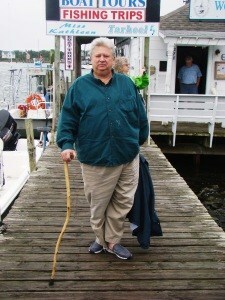 His family introduced charter fishing and ushered in tourism on the Outer Banks in the 1930s and 40s. 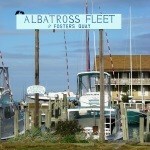 Their three locally-built charter boats, all named Albatross, incorporate features of working boats, enabling Foster’s father to go commercial fishing in the off season. Today, fishing guides such as Captain Scott Caldwell prowl the sound, inlets, and out into the ocean, taking sport anglers to some very big fish. Despite that diversity, drum, or channel bass, has remained the Bankers’ traditional fish of choice, particularly in the colder months. A boiled drum dinner is nearly ubiquitous throughout the length of the Byway. Accompanied by boiled potatoes, diced onions, and plenty of fried salt pork “cracklins” and grease; traditionalists mash the potatoes and fish together and use the onions, grease, and cracklins as toppings. The Bankers even have their own local spice mix, a blend of dry mustard, paprika, and native bay leaves. However, while many culinary traditions still hold in Hatteras, modern tastes have made inroads. Sonny’s Restaurant, on the east side of the Byway serves traditional Outer Banks dishes. Immediately across the road in Dinky’s Waterfront, diners can feast on decidedly contemporary tuna in Sriracha, crab with avocado and jalapeno, or jumbo sea scallops with garlic, shallots, and fresh basil in a Chardonnay butter sauce. Again, traditional seafood ingredients presented with a “techno-emotional” flair. Regardless your culinary attitude, for a benchmark hamburger, try the Hatterasman. North Carolina boasts one of this nation’s largest state ferry systems. The Hatteras to Ocracoke Island Ferry carries Byway travelers to an island—and a village–that often seem to have avoided both the 20th and 21st centuries. In Ocracoke Village, bicycles and walking seem most appropriate on the backstreets and sand lanes. 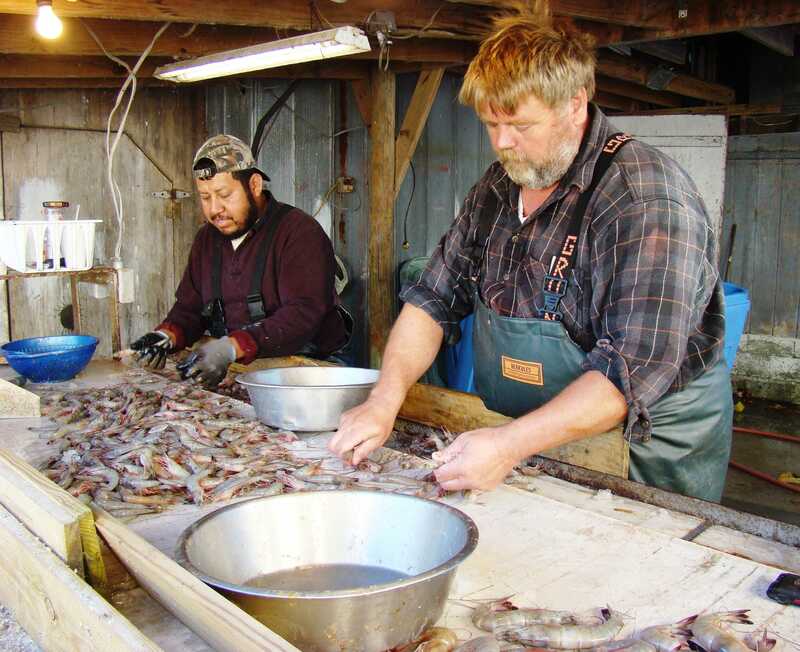 To understand the importance of the seafood industry to the Outer Banks, the Working Waterman’s Association exhibit, located in the former Will Willis Store & Fish House, highlights Ocracoke’s heritage and current fishing industry. The nearby Ocracoke Seafood Company, also run by the Working Watermen’s Association, sells fresh, locally caught seafood. As in Hatteras Village, the past and present frequently meld in Ocracoke’s restaurants and cafes. As an example Dajio Restaurant’s tuna ceviche and Thai Waterfall salad gracefully share the menu with grilled local shellfish and fried catch-of-the-day. From Ocracoke, the Byway again boards a ferry boat for the 2 1/2 hour passage to Cedar Island and the Down East villages. Down East shares many of the culinary traditions found on Hatteras and Ocracoke Islands. Many of the small villages that make up Down East still carry on traditional fishing, boat building, and decoy carving. 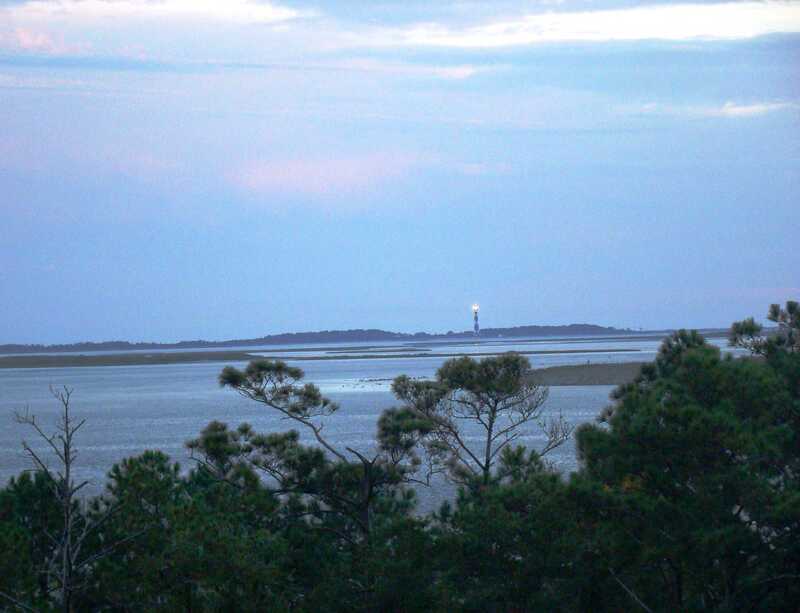 The Cape Lookout National Seashore’s black and white diamond patterned lighthouse stands at a westward turn in the coast, around Harkers Island, a near-mythic, late autumn fly fishing hot spot. The Fish Hook Grill in Harkers Island also preserves Down East kitchen specialties; while Eddie and Alison Willis, co-owners of Core Sound Seafood, apply modern business techniques and marketing to that most traditional island industry: fishing. Core Sound Seafood is a community supported fishery (CSF) that delivers fresh, local seafood to customers through shares and custom orders. The Willis’ also operate Mr. Big Seafood, a market that specializes in locally caught fish and shellfish, most processed at their Harkers Island location. Dining on fresh soft shell crabs from Mr. Big’s, grilled and served with fried okra, adds volumes to understanding the Down East’s maritime heritage. Beaufort makes a convenient southern terminus for Byway travelers. Many vintage homes near the vibrant waterfront have converted to bed and breakfasts. Located within walking distance of the shops and dining along the waterside, the Pecan Tree Inn, on Queen Street, expertly blends period furnishings with modern amenities. Also walking distance from the Inn, The Old Salt Restaurant prepares characteristic Down East cuisine and serves it with a quiet elegance. That amalgamation of the past and present—traditional foods prepared for contemporary tastes—characterizes the Outer Banks. Although the Outer Banks’ distinctive cuisine developed in isolation, greater access to the outside and the influx of tourists has expanded and diversified the menu. Riding the Byway today enables culinary explorers to taste three centuries of gastronomic evolution. Boil the drum in water with salt and pepper. Boil the potatoes in a separate pot until soft. Fry the salt pork into crisp “cracklins”; reserve the grease. Serve the fish with the potatoes. Take a piece of fish and a potato, mash together, and garnish with the chopped onions, cracklins, and grease. Adding chopped egg is optional. Reed Hellman is a professional writer living in Alberton, Maryland. Visit his Website at www.reedhellmanwordsmith.com, or e-mail your questions and comments to RHWay2Go@yahoo.com. ← Colombians Enjoy Dancing In The Streets of Cartegena!